Tensions within Israel’s Arab community have been elevated in recent weeks in response to Israel’s controversial Nation-State law. The law, passed by the Knesset on 19 July, declares Israel as the nation-state of the Jewish people. A protest was planned in Tel Aviv’s Rabin Square in August to denounce the law. Turnout was expected to be high: a previous rally over the issue on 4 August was attended by more than 50,000 people. Organisers of the 4 August rally, which passed peacefully, estimated that 120,000 people attended the demonstration. Minority groups in Israel claim that the law is discriminatory toward religious minorities like Christians and Muslims and will marginalize the country’s 21 percent Arab minority. The Druze minority, in particular, has taken issue with the law and was a leading presence in the 4 August protest. The Druze are ethnic Arabs and a religious group that is an offshoot of Islam. The community is primarily concentrated in the mountainous regions of Syria, Lebanon, Jordan and Israel. 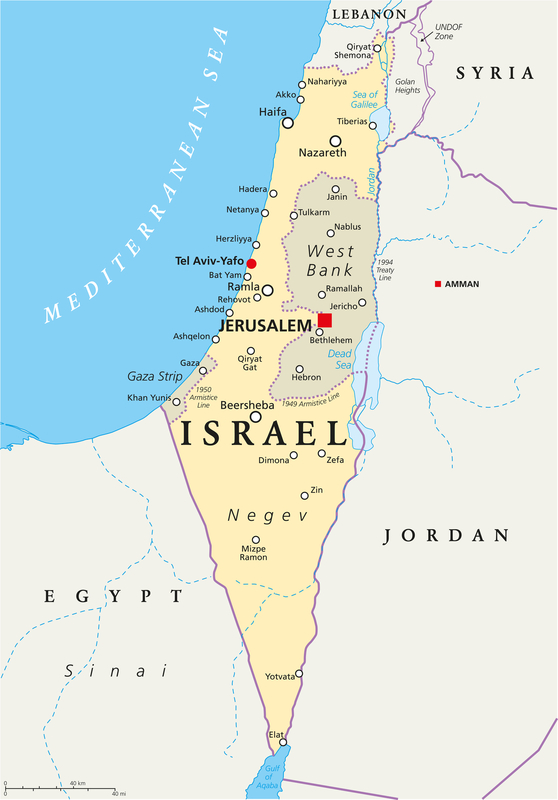 In Israel, the community numbers about 130,000, or 1.5 per cent of the population, and live mainly in hilltop towns of the northern Galilee region. The community has traditionally identified closely with Israel, and unlike most Muslim and Christian Arab citizens, Druze are subject to a mandatory draft. The recent protests highlight the sentiment of betrayal within the community, and the uncharacteristically powerful response represents one of the more serious rifts between the community and the Israeli government. Druze and other minority groups have criticised the law for its removal of Arabic as an official language. Other criticism has focused on elements of the law committing resources to Jewish settlement, which opponents fear could lead to an unequal distribution of land and resources or even ousting certain groups from their homes. Protest leaders have vowed to continue to pressure the government on the law, which also faces legal challenges before the Supreme Court. Proponents of the law say it enshrines Israel’s character as a Jewish state and serves as a bulwark against those who reject Jewish statehood. It is worth noting that protests have attracted prominent individuals from outside the Druze community, including former chiefs of the Israeli military and the Mossad and Shin Bet security agencies, highlighting support from across the political spectrum. Israeli Prime Minister Benyamin Netanyahu has said the law will not be changed, though he has been trying to work out an accommodation with Druze leaders. It is likely that Netanyahu is using the law to flex his political muscles as he prepares for elections next year under a cloud of corruption allegations. Early elections are widely expected, with current predictions of a poll being held toward the end of February rather than the date set by law, 5 November. The current government has taken a number of other recent controversial moves ahead of upcoming elections, including barring groups critical of the military’s treatment of Palestinians from speaking in schools, withdrawing support for gay surrogacy, and promoting a law allowing parliament to overrule Supreme Court vetoes. Further protests over the issue are likely. Previous rallies have thus far been largely peaceful, although the potential for rioting and clashes will be elevated particularly following any significant developments. Protests are unlikely to directly target foreign nationals, but travellers are at risk of exposure to incidental violence and travel disruptions.